How would you like to go on vacation to a remote tropical island for 10 days to learn and practice lucid dreaming with world renown researcher Dr. Stephen LaBerge from the Lucidity Institute? Well that is exactly what the “Dreaming and Awakening” retreat is all about. Becoming adept at lucid dreaming requires practice with effective techniques and a degree of focused attention difficult to maintain during our busy lives. 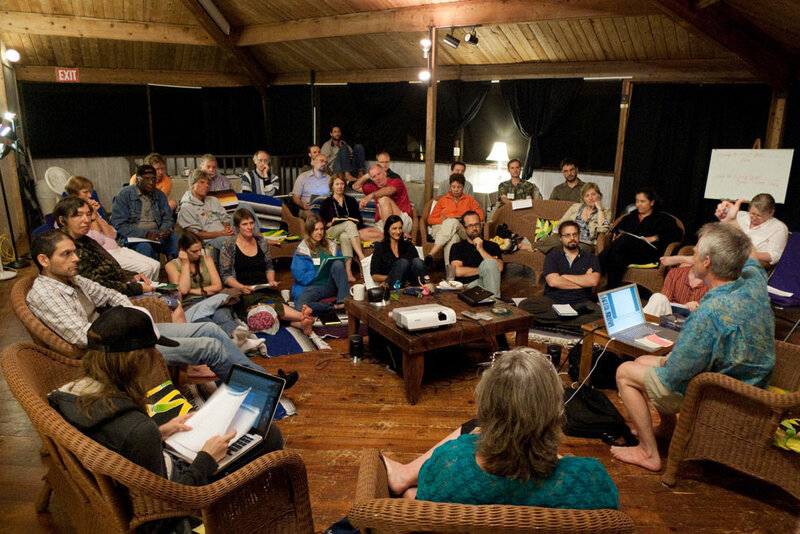 This 10 day retreat is an ideal place to give your lucid dream understanding and ability a boost. The first time I attended was in 2004 when I was doing research and interviews for a documentary on Lucid Dreaming called: “Explorers of the Lucid Dream World“. After I completed the documentary I stayed in communication with the Lucidity Institute. In 2010 they invited me back as an assistant and a presenter. My responsibilities include calibrating and downloading data of the Nova Dreamer 2 prototypes, Managing the Lucidity Flashes mail server, and presenting lucid dream information in my own unique style. Suitable for all levels of experience, Dreaming and Awakening program will feature group and individual exercises for developing awareness skills and valuable insights into the application of lucidity. During the retreat all participants get the option to use the new Nova Dreamer 2 prototype, and a natural substance that decades of research has shown to be an effective promoter of lucidity.